Bausch & Lomb Hall, U of R Dept. of Physics where Ashkin would have had an office. Days later, sitting at his office desk in Salt Lake City, Marvin Hewitt (high school drop out, no B.A., no M.A., no Ph.D., no nothing), was sorting his mail when he saw an envelope with the University of Rochester logo. Immediately he knew that his days of impersonating Julius Ashkin were up. Not that this was the first time he’d posed as an academic of course. Just the latest. Hewitt was a wunderkind. A precocious child genius who at age 10 was studying books on esoteric mathematical concepts and physics but who, lacking self-confidence and friends, and finding school work boring, had never finished high school let alone attended college. Starting out earning a living doing manual labor, by age 23 he’d begun a years-long career successfully impersonating college and university faculty members with advanced degrees. His career as an academic phony had had a low key start. Rejected by the army for service in WWII, Hewitt had run across a help wanted ad for a teaching position at Camp Hill Military Academy. Responding on a whim, and claiming to be a graduate of Temple University in his home town of Philadelphia, he was surprised to be hired to teach math, history and geography. He was even more surprised to discover that he enjoyed the sensation of being in a position of authority, albeit over a group of unruly students, in an environment where he could be someone other than Marvin Hewitt. Then, after a single term, the academy folded and he was back on the street. 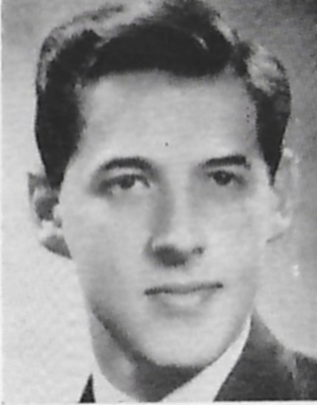 But now, with the knowledge that he could successfully impersonate someone with academic credentials, and with a new-found taste for a challenge, Hewitt flipped through library listings of the doctoral graduates of various leading universities, found a name he like the sound of, and used it to apply for a position as an aerodynamics engineer at a wartime aircraft factory. Quickly boning up on the mathematics needed for the job, Hewitt had no trouble being hired, only to discover after a few weeks that the man he was impersonating was so well-know in the industry that his exposure was only a matter of time. He quickly quit and returned to leafing through the university catalogues at the library. 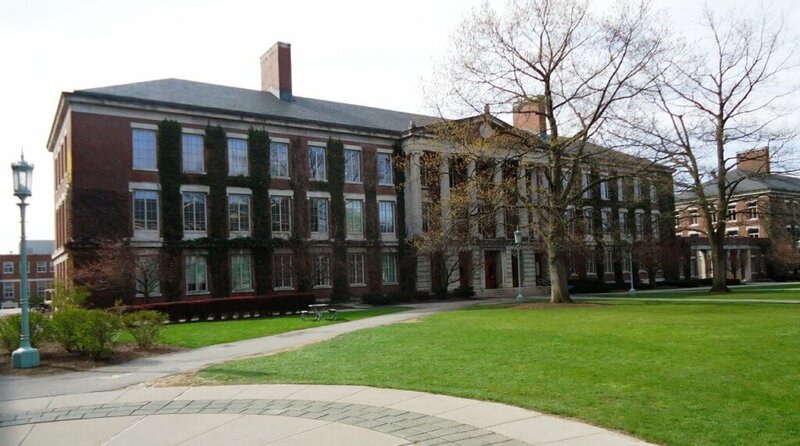 Finding another likely name among the physics department faculty listings for the University of Rochester, Hewitt started mailing letters to local colleges to see whether they needed a physics instructor. When he contacted the Philadelphia College of Pharmacy and Science in early 1946, he was directed to the head of the physics department where he introduced himself as Dr. Julius Ashkin. Impressed with “Ashkin’s” credentials (obtained from the University of Rochester for one dollar), the school hired him as a part-time lecturer in calculus, trigonometry and algebra. He also had to supervise lab work, an area he had absolutely no experience with. But he nevertheless managed to bluff his way through. As to the actual teaching, Hewitt later wrote, “Intellectually, it was like clerking. They gave me a copy of the textbook to be used and told me how much I was to cover during a semester. I mapped it out by lessons and just tried to cover each lesson in a clear manner.” To his intense gratification, his students scored as well as any in the school on their end-of-semester tests. But by remaining in Philadelphia, Hewitt daily risked being exposed by someone who knew his true identity. Surviving several close shaves, Hewitt decided that it was time for “Dr. Ashkin” to move on. Going further afield this time, Hewitt applied to a state teachers college in Minnesota. Realizing that it would be risky to use the College of Pharmacy and Science as a reference, he created a dummy engineering company, complete with a rented mail box address, and listed it as “Ashkin’s” current employer. When contacted as a reference, Hewitt had fake stationary printed up which he used to provide a glowing recommendation of his alter-ego. So glowing in fact that “Dr. Ashkin” was hired by the college at $4,000 a year. Leaving Philadelphia, Hewitt married a high school senior he’d been dating, bought a car, taught himself to drive, and moved to bucolic Bemidji, Minnesota. Almost immediately he found that his new job was incredibly boring. He taught basic college math and physics for 16 hours a week and spent the rest of the time thumbing through advanced physics publications. He also discovered that the president of the college had attended Columbia so he had to bone up on the faculty and student life at his ersatz alma mater so as to avoid arousing suspicions by a lack of campus knowledge. With the intellect of a brilliant theoretical physicist, Hewitt wanted to find those with whom he could discuss recent developments in the field but was unwilling to risk exposure by attending conferences as “Dr. Ashkin”. So desperate did he become that he took a vacation trip to Princeton, NJ hoping to meet Albert Einstein. He didn’t. Needing more mental stimulation than Bemidji could offer, “Dr. Ashkin” once more started looking for a new job. He soon received a reply from the physics department at St. Louis University. Responding cautiously (the real Dr. Julius Ashkin was by now starting to make a name for himself at the University of Rochester and had just published a paper in the Physical Review which naturally listed him as a member of the school’s faculty) Hewitt stalled on accepting an invitation for an interview from St. Louis until, to his surprise, he was hired by mail as an instructor to teach nuclear physics, statistical mechanics, thermodynamics and tensor analysis to graduate students working on their Ph.D.’s. He loved the irony of the situation. At St. Louis, certain odd gaps in “Dr. Ashkin’s” knowledge of basic physics, a lack or organization of his presentation materials, and noteworthy deficiencies in his driving skills were simply viewed as being the attributes of an archetypal absent-minded professor. He had several close calls where exposure seemed imminent, such as when the real Dr. Ashkin published another paper in the Physical Review, again listing himself as a faculty member at the U of R. Finally getting cold feet, and despite an impending promotion to associate professor, Hewitt once more decided to hit the road. Applying to the University of Utah, the Ashkin doppelganger was flown to Salt Lake City for a lengthy interview with the university’s president. Pleased with this deferential treatment, yet convinced that even a cursory check of his credentials would unmask him as an imposter, Hewitt found that Utah had checked with everyone EXCEPT the University of Rochester, perhaps because on contacting Columbia they had been told that there were TWO Dr. Julius Ashkins, including one who was working in St. Louis. So to his delight and amazement, Hewitt was offered a full professorship, an offer he accepted with alacrity. (It should be noted that back in Rochester, the real Dr. Ashkin was still only an associate professor). In an effort to cover his tracks, Hewitt told his colleagues at St. Louis that he was leaving to work for General Electric. Even a chance encounter with a clerk at Utah who had worked at the University of Rochester and had known of Dr. Ashkin didn’t upset the applecart. But then just a few weeks after assuming his new position, the sky fell in when Hewitt received the envelope addressed to “Dr. Julius Ashkin (?)”. Not knowing what to do next, Hewitt’s anxiety became agony when he was called in by the university president who showed him a letter exposing Hewitt’s impersonation. He broke down and confessed that he was really only Marvin Hewitt with no academic credentials to his name. Naturally the university wanted to keep the affair under wraps, but also wanted to aid the great talent they saw in Hewitt. He was given two options. He could stay at Utah as a research fellow and earn his Ph.D. legitimately. Or he would be assisted to transfer to another university to gain his degree there. But even though the real Dr. Ashkin had written the Utah administration asking for compassion for Hewitt (and asking that Hewitt be told that it had not been Ashkin who had exposed him), tired of the lies and the constant fear of exposure, and hearing that some of his previous employers were now investigating their “Dr. Ashkin” and might not be so sympathetic, Hewitt declined all offers and quietly returned to Philadelphia with his wife. 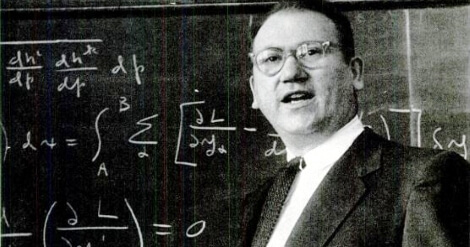 As for Dr. Julius Ashkin, he left the University of Rochester in 1950 for Carnegie Institute, now Carnegie- Mellon University, where he worked for over 20 years, serving as chairman of the physics department from 1961 to 1972. He died in 1982 and was noted for his contributions to statistical mechanics, nuclear physics and elementary particle physics. (*) Speaking of imposters, Hewitt was amused when in 1952 LIFE magazine ran an article entitled, “The Master Imposter: An Incredible Tale” about the exploits of Ferdinand Waldo Demara, Jr. who had impersonated a psychology professor, an assistant prison warden, an editor, a lawyer, a monk, a deputy sheriff, and a surgeon in the Canadian navy. Two years later his own far-lengthier story, “Marvin Hewitt, Ph (ony) D.”, appeared in the same magazine.